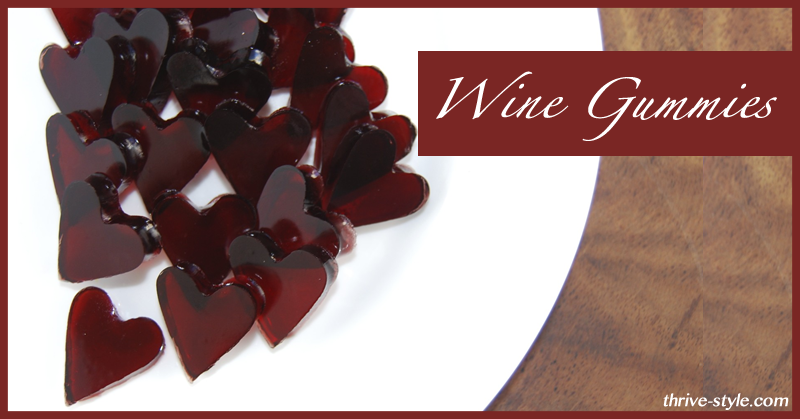 Looking for a creative way to make your wine lover’s heart skip a beat this Valentine’s Day or any day of the year? Get sentimental and show your wine loving sweetheart you have a heart by making him or her feel like royalty on the most romantic day of the year. Here are 9 Ways to Make Any Wine Lover’s Heart Go Pitter-Patter. If the best part of waking up is coffee in your cup then how about topping it off with a little heart art? Perk up your prince or princess by wearing your heart on your sleeve or on your mug rather. 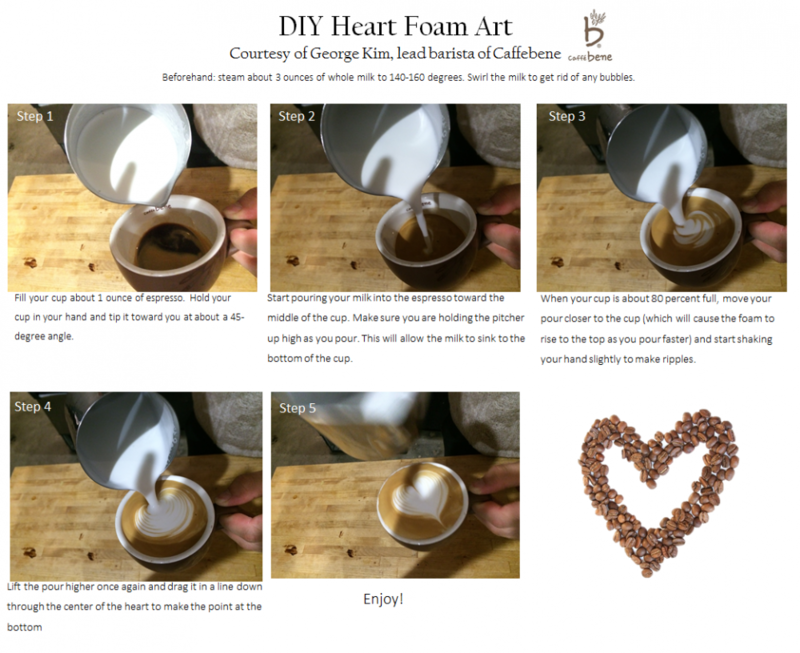 Make your morning Cup of Joe make an impression with a impressive art to really give your morning java a jolt. Skilled barista George Kim, of Caffebene shows off his stuff by showing us how to make the most creative cup of coffee. 1. Make your espresso and steam your milk. For the best presentation, Kim recommends using 3 ounces of whole milk per 1 ounce of espresso. Your milk should be steamed to 140 -160 degrees. With Valentine’s Day comes beautiful red roses, dimly lit candles, romantic dinners & red wine, but how about breakfast in bed? Since Valentine’s Day is on a Saturday this year, a lazy morning followed by breakfast in bed is the perfect way to kick off the most romantic day of the year and surprise that special someone. Bauli, is rooted in romance, based in Verona, Italy. Verona of course is where the romantic tale of Romeo & Juliet took place! 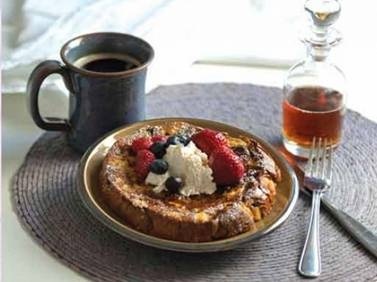 The leading creator of authentic Italian confectionery treats came up with this delicious recipe for Panettone French Toast. Try it on your Romeo or Juliet and let us know if it wets his or her appetite. Pre-heat oven to 200°. Trim the bottom crust from the Panettone. Starting at the bottom of the loaf, cut it crosswise into 6 (3/4-inch thick) round slices. (Reserve the top piece for buttered toast!) In a large bowl, whisk the eggs. Add the cream, milk and sugar, and whisk until well blended. Put an oven rack in the middle position and preheat the oven to 350 degrees F. Butter a 3.7 quart IMUSA Caldero. Whisk about 1/4 of the whites into the chocolate mixture to lighten the batter, then fold in the remaining whites gently but thoroughly. 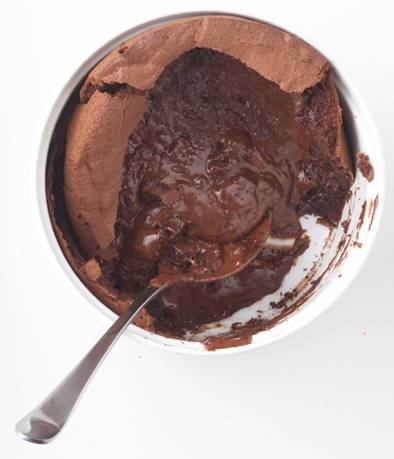 Pour the batter into the IMUSA Caldero, spreading it evenly. Bake about 30 to 35 minutes or until the center is still jiggling and a toothpick inserted in the center comes out with moist crumbs adhering to it. Serve the soufflé warm. 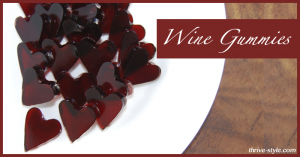 Our friends over at Thrive Style posted this this fancy recipe for heart shaped wine fruit snacks (aka wine gummy bears) and they were too good not to share. 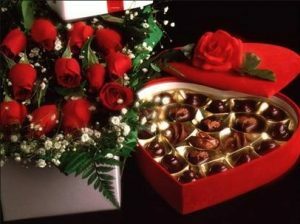 Whether you treat your sweetie to this surprise on Saturday for Valentine’s Day or save it for your favorite Oscar celebration, this is one way you will look like a star. 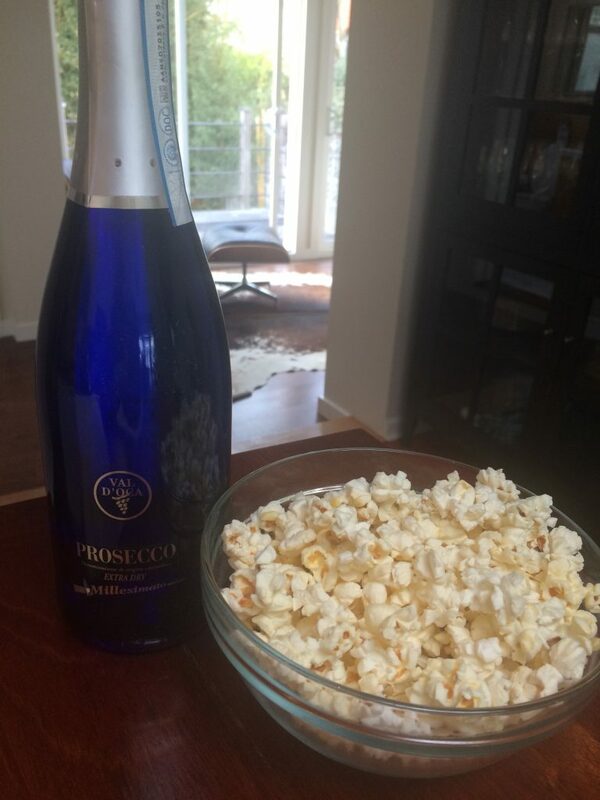 Start the evening off right by partaking in a Prosecco and popcorn pairing. At under 15 bucks this bottle of bubbly won’t break the bank and it’s versatile and food-friendly to boot. Prosecco DOC, that magical sparkling elixir from just over the hills in Treviso flows like water. With its floral, fruity bouquet and its fresh, light flavor full of personality, Prosecco is the ultimate tipple for this unique celebration, even if you are only attending in spirit. Say your sweetie doesn’t have a sweet tooth? Skip the chocolates on Valentine’s Day and go straight for something that is sure to make any suitor swoon WINE! Surprise your sweetheart with a heart warming bottle of red wine. Here are a few new red wines (and some old favorites) that we think are simply divine. It seems like only yesterday we were trying Di Costanzo wine for the first time. 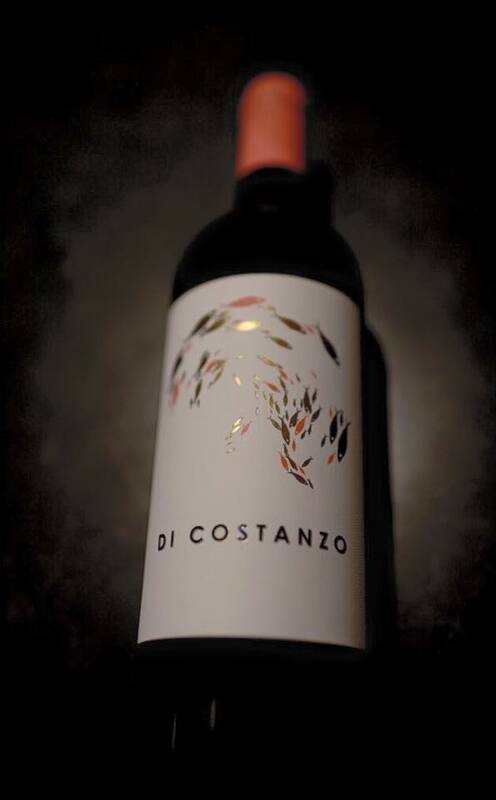 In 2010, the first few cases of Di Costanzo Cabernet Sauvignon were produced and a was dream realized. 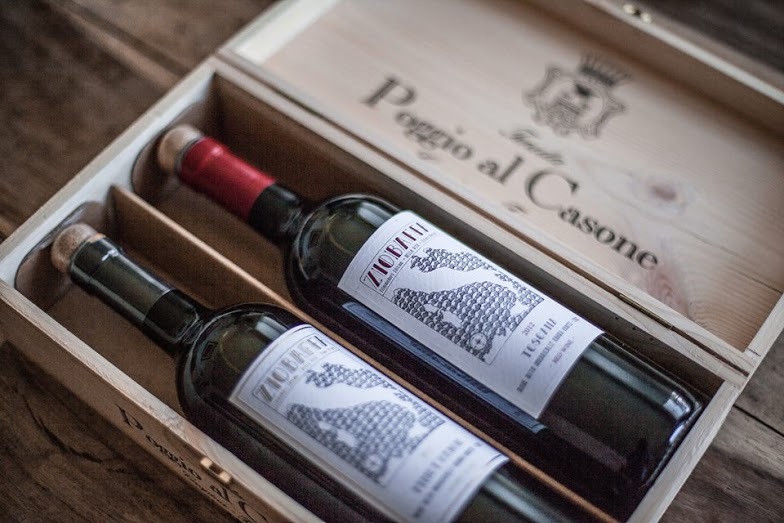 I have tasted this wine and let me tell you a sure fire way to make your wine lover’s dream come true is to get on the mailing list for this beautiful bottle of Cabernet Sauvignon. The 2012 Di Costanzo Cabernet set to be released later this month. If you would like to be included in this offering, please visit www.mdcwines.com to join mailing list. Di Costanzo is the independent project of Massimo Di Costanzo. In 2002 with a Viticulture and Enology diploma in hand he apprenticed on four continents eager to learn his craft and the culture of wine on the global stage. As a native Californian, he laid down roots in Napa Valley working for several small and esteemed estate wineries where he began to articulate his own winemaking vision, both philosophically and in the wine. The Farella Vineyard in Coombsville is the birthplace of Di Costanzo. The 26 acre vineyard benefits from its west-facing, volcanic hillsides bathed in warm, afternoon sun, making it amongst the warmest sites in the traditionally temperate appellation. The vineyard, composed of red gravelly tufa sits on a base of volcanic ash and is farmed meticulously and sustainably by the Farella family. 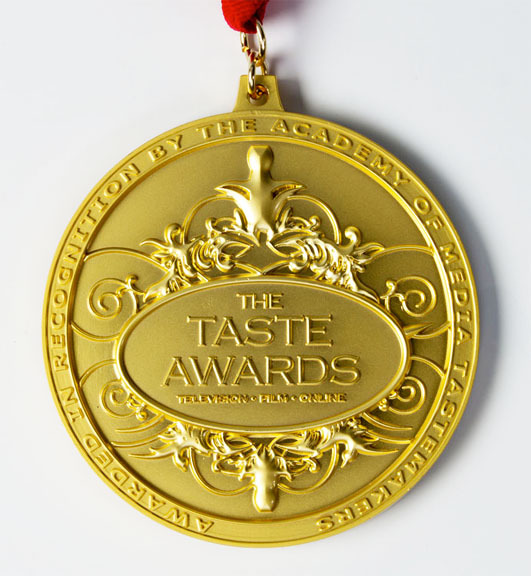 This well respected red wine has been a winner with wine lovers and wine critics alike. Spice up your love life in style with Esporão Reserva Red ($24.99), a blend of native Portuguese grapes from the winery’s estate vineyards. Enjoy this elegant wine with rich fruit and spices as you reminisce about your first date together. Who needs roses when you can have Rosé? 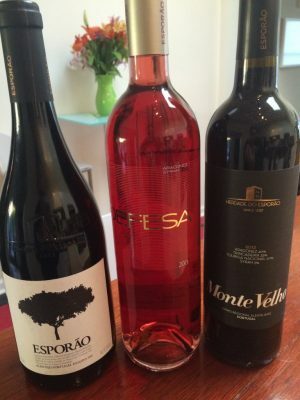 Vinha da Defesa Rosé ($16.99). Made from Syrah and Aragones (native Portuguese wine grape), is a fresh and lively wine with fruity berry and mint notes, will make your love bloom beyond belief. Single sisters who don’t want to break the bank celebrating with their gal pals might want to give this everday wine a taste. At under $10, Monte Velho Red is a value wine that works on Valentine’s Day or on any typical Tuesday. This juicy, well-structured wine pairs well with everything from burgers to hearty pastas and is easy to enjoy on its own whether you’re drowning sorrows or celebrating romantic independence. For more information on Esporão, visit them online at www.esporao.com/en. “The Esporão project began in the Alentejo from an irrepressible desire to make the finest wines. This is the basis of everything we do and something we extend to other products and regions. It’s no secret that I’ve long been a lover of J Vineyards & Winery. They are dedicated to the concept of terroir in the Russian River Valley. The winery created their flagship Russian River Valley Pinot Noir and Chardonnay to showcase the unique Russian River AVA that has more soil types than in all of France. 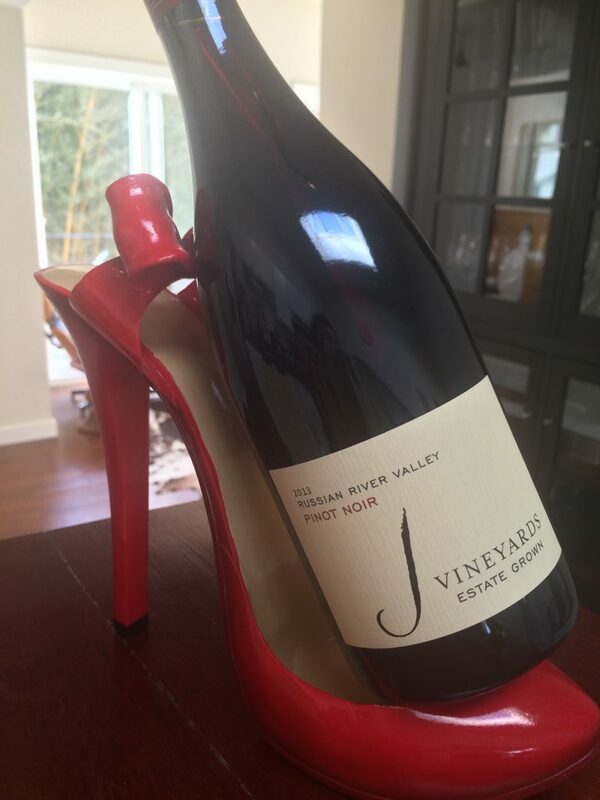 The 2013 J Vineyards Pinot Noir Estate Grown Russian River Valley is a well-balanced Pinot Noir. 2013 was warm and dry and presented a fantastic growing season for winemakers and grape growers in the region. Harvest took place in late August, one of the earliest harvests in J’s history. Being that this wine is both food friendly and easy on the pocket book ($40), it’s sure to put both you and your honey in the mood for love. If your one and only is lover of wine and surf (like mine is) then this wine by ZIOBAFFA is going to make him or her want to do a hang ten. During surf-inspired adventures in Italy with surfer-artist-environmentalist Chris Del Moro, Filmmaker Jason Baffa was fortunate enough to meet his good friend, surfer, winemaker & art-patron, Piergiorgio Castellani. Together they make two wines both a Pinot Grigio and Toscana Red. Both are bottled and labeled with eco-friendly material, crafted with a biodynamic focus and organically produced grapes. The Italian and organic wines are Handmade by artisans with a focus on traditional production, quality, authenticity and detail. 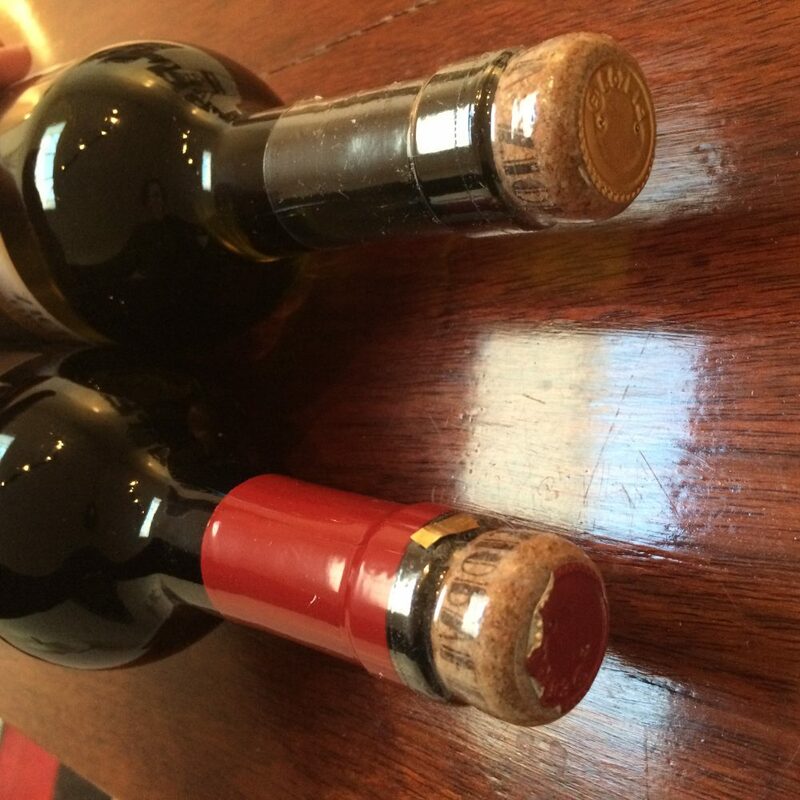 With a focus on sustainable, zero waste production and environmentally friendly bottling, including the innovative Helix re-useable cork closure, these wines are a modern take on an old world tradition. ZIOBAFFA wine is a demonstration of close knit Italian culture and is the perfect choice for you and your significant other, or you and all your girlfriends, this Valentine’s Day. During the first days of filmmaking in Italy with surfer-environmentalist, Chris Del Moro and winemaker, Piergiorgio Castellani on “Bella Vita,” Baffa’s passion for good food, thirst-quenching libation and the odd late-night practical joke, inspired the local crew of surfers to nick-name him, Zio Baffa (Uncle Baffa). Hence the name of the wine ZIOBAFFA.